Located just across the river from Washington, D.C., National Landing is the region’s premier mixed-use urban community and is home to the headquarters of Nestlé, Marriott International and Capital One. The D.C. metro area is also home to the most employed tech workers in the U.S., with an estimated 321,000 professionals—and that number is soon to grow. Real estate in National Landing was a hot commodity prior to the Amazon HQ2 announcement and has remained so in the months since, with the median sales price fluctuating from just under $550k to over $580k. The market is definitively in favor of sellers: inventory is falling, giving buyers fewer choices in their home searches. This is likely contributing to the average days on market, which is also on the decline. Residents of the National Landing area can expect a cost of living that is 44 percent higher than the national average. Much of this figure can be attributed to home prices, which are 133 percent higher than in the United States overall. The differences in other figures are much more nominal, with groceries and utilities 11 and 14 percent higher, respectively. Transportation and health care, on the other hand, hover just barely above the national average, and are much lower than most other HQ cities. Though Arlington comes in slightly below other cities on its Transit and Walk Scores, it is still a very walkable city where residents can accomplish many errands or reach eateries and shops on foot. Most locals can reach a few restaurants or cafes within a five-minute jaunt. The public transportation system in Arlington is a good one, with four subway lines, two railway lines and approximately 85 bus lines throughout the city. Regarded for its historic Old Town, Alexandria features walkable main streets with boutique retail options and some of the region’s most desirable homes. As one of the Washington Metropolitan Area’s most dynamic suburbs, Arlington offers a wealth of cultural and dining options in one of the regions most commuter friendly neighborhoods. Among the many desirable neighborhoods in the Nation’s Capital, few compare to the historic charm and aesthetic beauty of Washington, D.C.’s Georgetown. Encompassing several of D.C.’s most popular neighborhoods, Downtown D.C. is the cultural center of the city, offering countless dining, shopping, and entertainment options, all steeped in the rich history of the city. 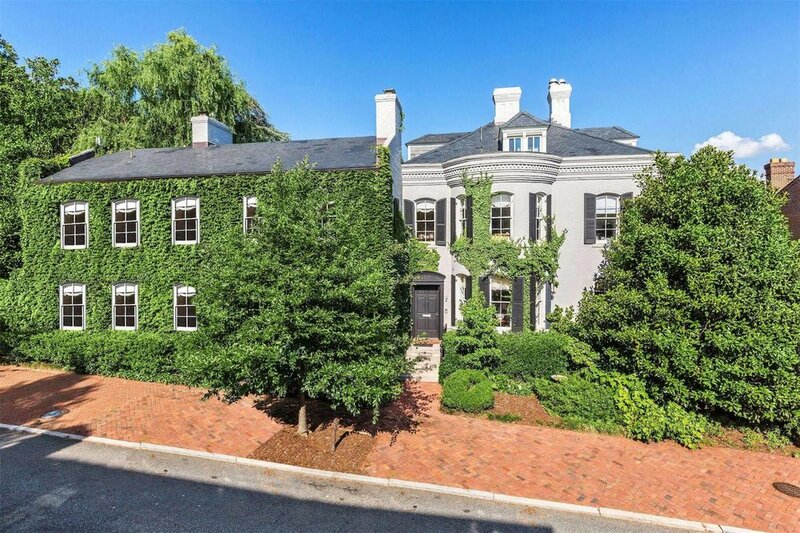 One of the region’s most affluent suburbs, McLean is a quietly wooded community offering a perfect mix of rustic Virginia living with quick access to the cultural and business benefits of the city. Chevy Chase is a classic Maryland suburb where residents easily enjoy the cultural and retail options of Connecticut Avenue and nearby Bethesda Row as well as a quick commute to Downtown D.C.
A quiet, maritime city and home to the US Naval Academy, Annapolis was built for maximum enjoyment of the Chesapeake Bay. Downtown Annapolis is also popular for its rich, historic feel and numerous shopping and dining options. Ideal for food, wine, and equestrian lovers, cities like Middleburg and Warrenton serve as rustic retreats brimming with Southern character and charm. Located in Washington, D.C.’s Shaw neighborhood, this Michelin starred restaurant offers locally sourced cuisine in an unpretentious atmosphere. Offering hiking trails, tennis, and ranger-led wildlife programs, Washington, D.C.’s Rock Creek Park is a true urban oasis in the heart of the Nation’s Capital. Located on the banks of the Potomac River, The Kennedy Center for the Performing Arts offers the nation’s finest venue for concerts, plays, and performances. Located in Old Town Alexandria, Brabo Brasserie is a modern, high end restaurant specializing in Belgian-French cuisine and cocktails, complete with a tasting room. Filled with dozens of shops, restaurants, and other amenities, Bethesda Row is a vibrant retail center located in the heart of Downtown Bethesda. An inn and restaurant run by award winning chef Patrick O’Connell, The Inn at Little Washington is one of the region’s most talked about luxury experiences, nestled in the foothills of the Blue Ridge Mountains. A moderate climate near the nation’s capital. Ranking in at 60 on Sperling’s Comfort Index, the National Landing region is considered a climate more comfortable than many others in the U.S. The area is in line with the national average on many counts, with the exception of snowfall, which falls well below that standard. If you’re considering a move to National Landing, we’re here to help! Browse a variety of home options below or get in touch with an agent to discuss your real estate—and HQ—goals. Looking for that perfect single-family home? Browse a collection of stellar residences in National Landing. Take a look at the development homeownership opportunities currently available in the National Landing region. Reach out to connect with an agent and explore properties in the Washington, DC area.